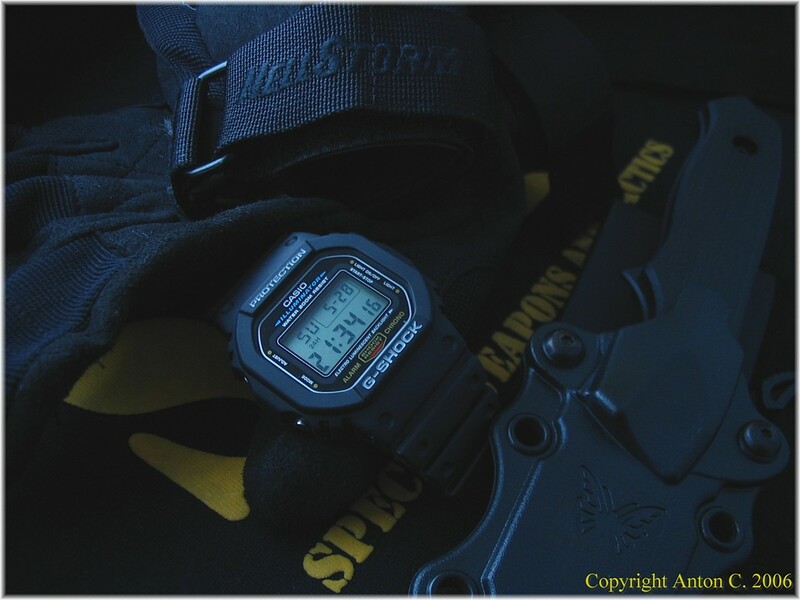 Some pictures of my G Shock collection which I originally posted at WUS Casio G Shock forum a few weeks ago. I bought the Gulfman as a birthday gift for my brother this year, at the same time I bought myself a Mudman too. The Gulfman's caseback, looks like a turtle with some weapons? A Ninja-turtle? The Mudman caseback, a mole wearing Oakleys and driving wheels? DW6900, popular watch with NASA astronauts. DW5900, another popular watch with NASA astronauts. DW5600C (vintage), certified for space flight by NASA. DW5600E (contemporary), certified for space flight by NASA. Another photo of the DW5600E. And here's a group photo. And yeah, I got 7 DW5600s, for the C version, I have both modules 691 and 901 and both examples of both modules from factory locations both Japan A and Japan H. For the E version, one is Casio Thailand, another is Casio Malaysia. Nice! Can give me the blue one? Looks nice on my hand. Ha! Ha! Blue Gulfman was my bro's birthday present and yes, its nice. I guess the black one is yours then? Seems that u added new pics for all your Casio watches. Quite a lot hah! They were all there actually just that you gotta click the link to the watchuseek forum. But now I decide to display them at my blog instead. Haolian can or not? Thanx for your kind comments, Marc. Wow, all nice! My fiance is crazy on Casio watches too! He has a Gulfman one, the titanium part serie. I like the DW5600 series best. The original I had I think was way better, I still have the second one but battery recently died, so I need to find out the model of the one with that type of screback cover, I think it is the 5600, but would like to make sure before I order it, light was not as bright as the illuminator version. I have a brand new U.S $100.00 for that DW5600 you own. Can you tell me if the inscription "Stainless steel" on the back of the Casio means that the watch is a fake? we have an online store in Romania, on which we sell watches, and I know that they are original, from many different reasons, but a client of mine says that the above inscription certifies that it`s a fake, just because he has a fake rolex with the same text on the back case. It is common to have the mention 'STAINLESS STEEL' OR 'ST. STEEL' on the back of watches. Fake or original depend on many factors too. Thanks for sharing with us.This provide more useful information for us. I have one of my Sell audemars piguet offshore business, i hope you like it. 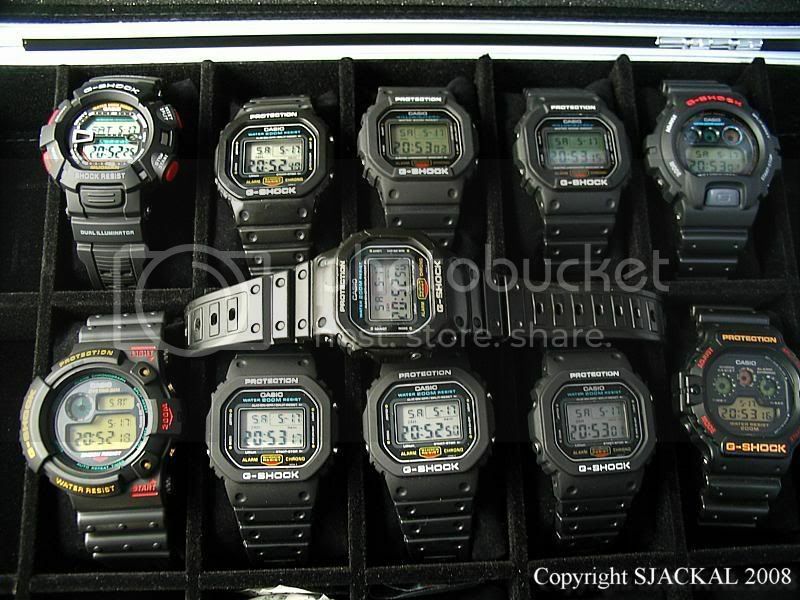 Great Blog and Very nice Collection of Casio G-Shocks, Some are very rare models, Keep it Up! This watch is great. Unfortunately it is not sold in my country. In my country, Casio G shock watches are popular lines.